You must have V3. We have V2 so it has 7 different settings to choose from. Sorry couldn't help. Hey guys, sorry to hijack the thread. I've just recently installed the tri colour plug and play tune. I don't have any other mods on the car. Am I suppose to set the module on left or middle or right P? With no other mods, you should have one LED lit (the left of the three LEDS) above the "P". In this pic, is my setup with a 1.5 (with intake). One "P" and one "+" LED lit. Took it for a second time. 1st time was stock at 308whp and 332tq. Now it's at 371whp, 386tq with rebellion tune and ams intake. 1) rebellion plug and play or the re-map? 2) any issues with the tune? Sorry just saw this. It's the plug and play. When I go to dealership I just take it off. No problems whatsoever. I still have warranty. Awesome info. I just ordered the Tricolore piggy back and intake. I figured the 80hp gains were a little optimistic, but mid-60s is pretty nice! I am hoping to compare with my similar set up from Rebellion. I did not see your model year mentioned but your images and the vid looks like pre-face lift? Also what was the Dyno name and they estimate about a 17% loss from crank HP to WHP using that particular dyno? Reason is in a couple weeks I'm taking mine in for some dyno runs (will ask the dyno name to compare) will be nice to see any potential variation. It's a 2017 CLA 45, (US Car) with the DTUK piggyback from Tricolore and the AMS intake so, a 1.5 setup. I'd expect about the same from the Tricolore set-up. They're basically former Rebellion guys. Besides, 371 at the wheels with a 17% loss from the AWD drivetrain means you're making about 434hp at the engine...from a tune and a less restrictive intake. That's pretty huge...especially since the car left the factory putting out 26.1lbs of boost back in 2013. I've read that post-facelift cars put out 27.5lbs of boost stock. These are massive numbers for cars leaving the factory. That said, and I could be wrong, but I don't believe the post-facelift cars have the potential for a materially higher top end than pre-facelift cars. AMG said the cars were basically tapped out as they left the factory back in 2013 which is why the next gen CLA's engines will be altogether different. AMG just left a little on the table when they released the 45 in 2013 knowing they'd have to increase the hp at some point in order to remain competitive with whatever Audi and BMW might throw out to the market. And, so 26.1 psi and 355hp get dialed up to 27.5 psi and 381hp. 26.1 psi and 355hp get dialed up to 27.5 psi and 381hp. Where did you hear that from? Everything I've read said the increase was from newly configured valve assembly, adjustments to timing and turbocharging. 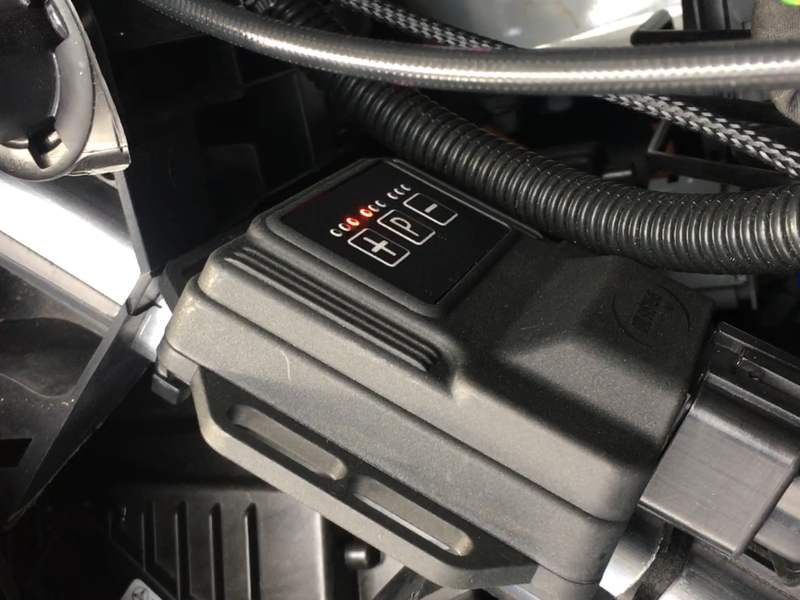 AMG claims it's still at 26.1psi for FL.